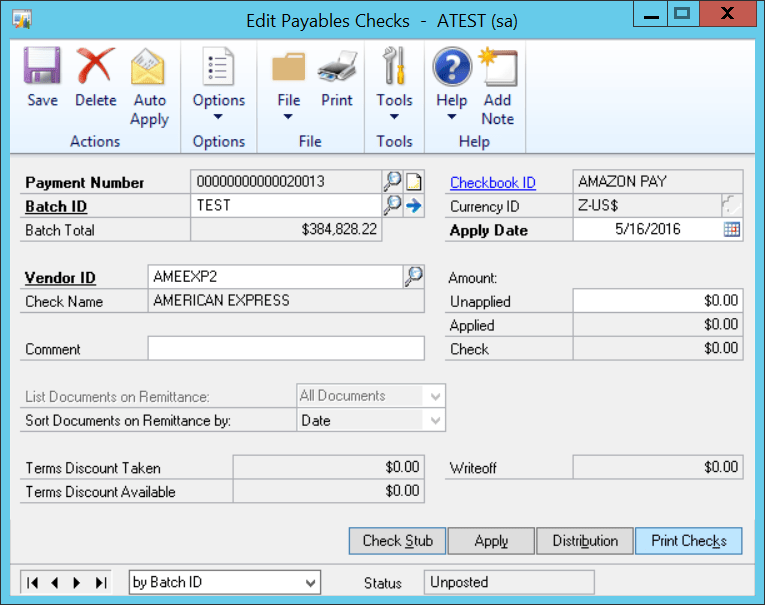 Many Dynamics GP AP users complain about seeing old fully applied documents on the check stubs as they print a check for a vendor. 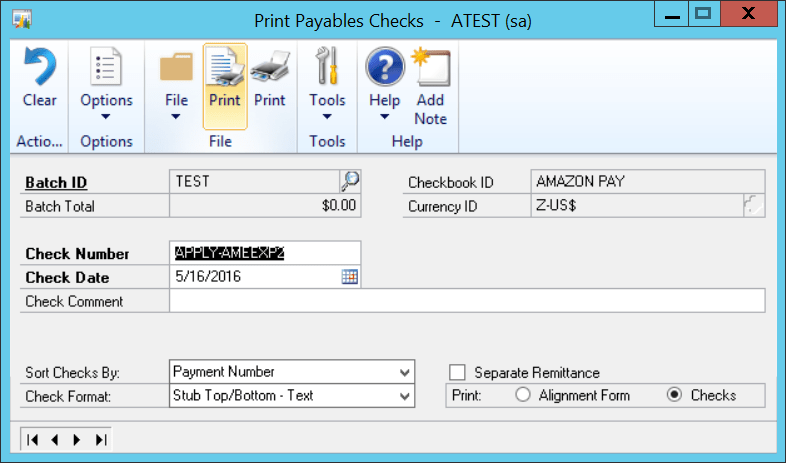 What these users might not know, however, is that solving this common complaint is as easy as processing an old fully applied document through a regular check batch and posting it as a $0 batch before you actually print a live check. 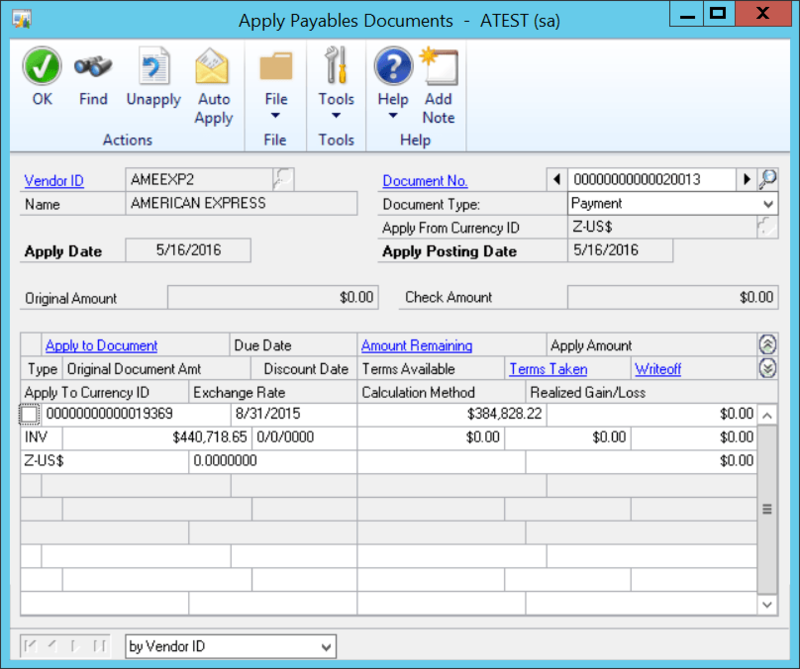 In this blog, we’ll show you how you can easily process fully applied documents for vendors in Dynamics GP. Create a batch and save it. 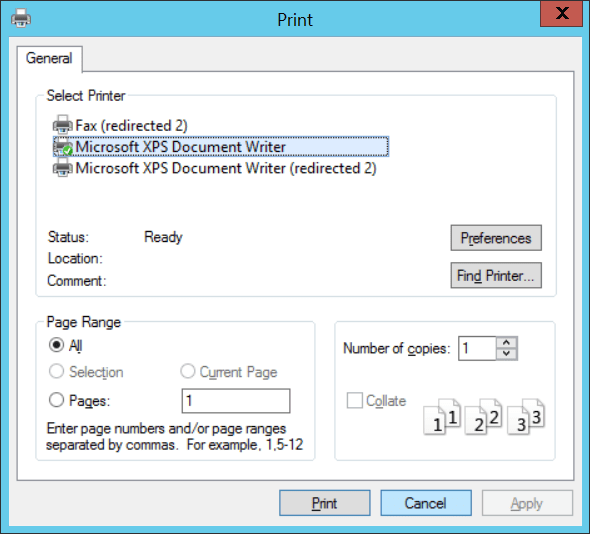 Wait until the Batch Total is no longer zero, then click Edit Check. Use the second arrow on the bottom left to scroll to the correct record. 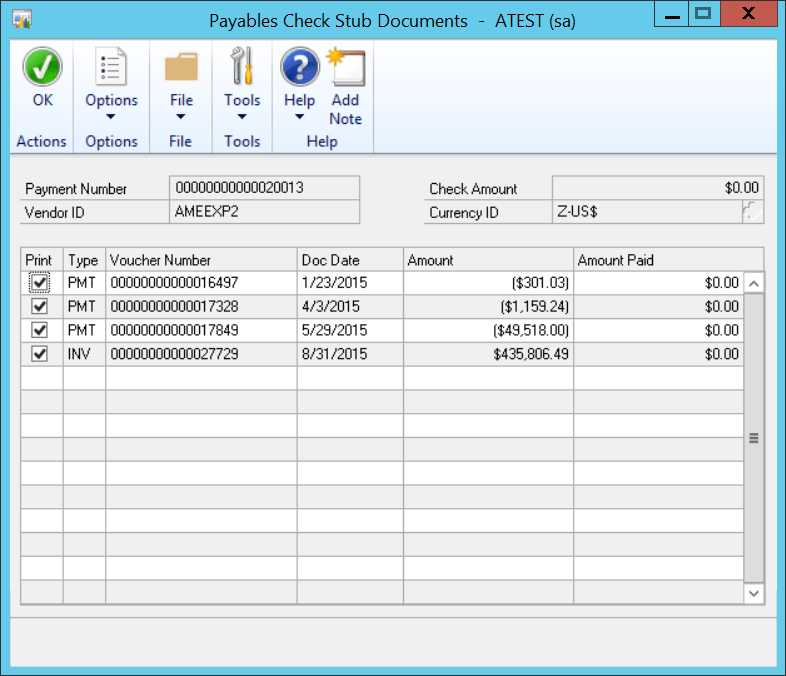 Be sure to check that the proper vendor ID is showing. 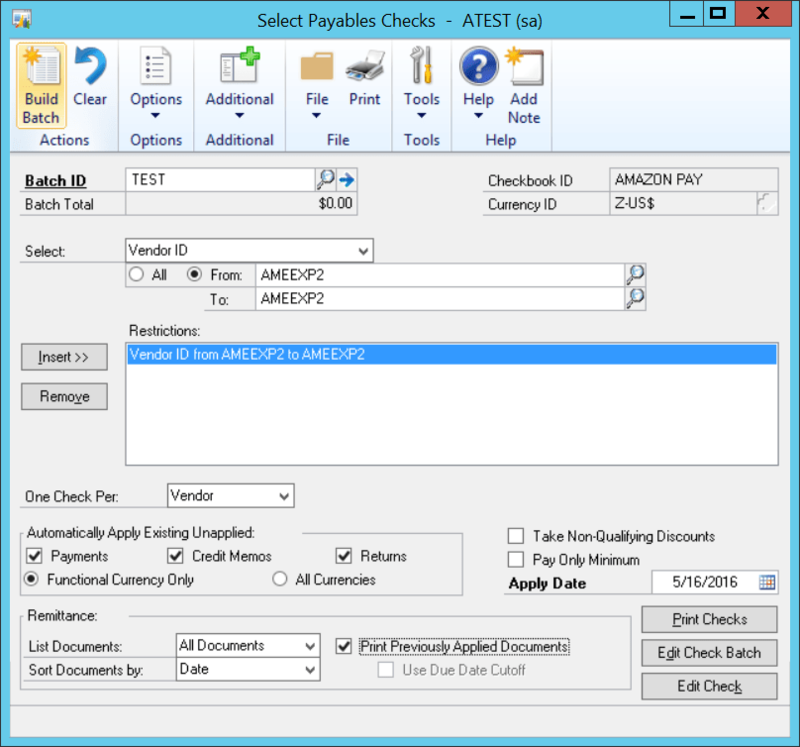 Change Check Number to something like ‘APPLY-VendorID’, as seen in the example below. 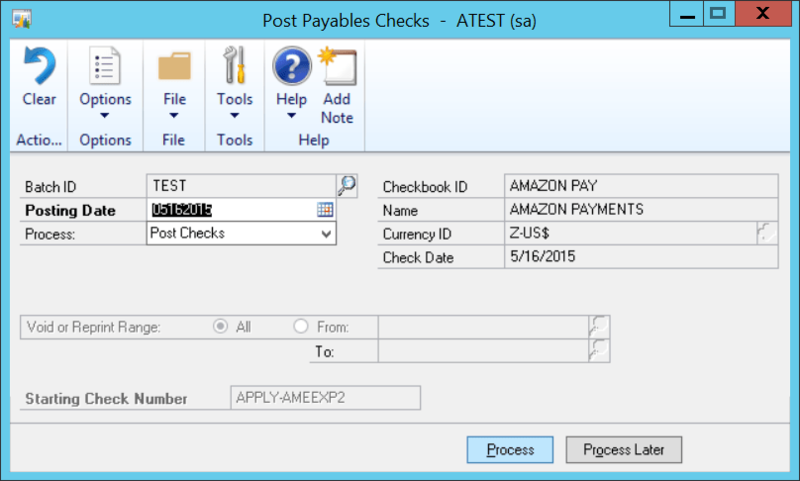 Hit the Print button which will take you directly to Post Payables Checks window. 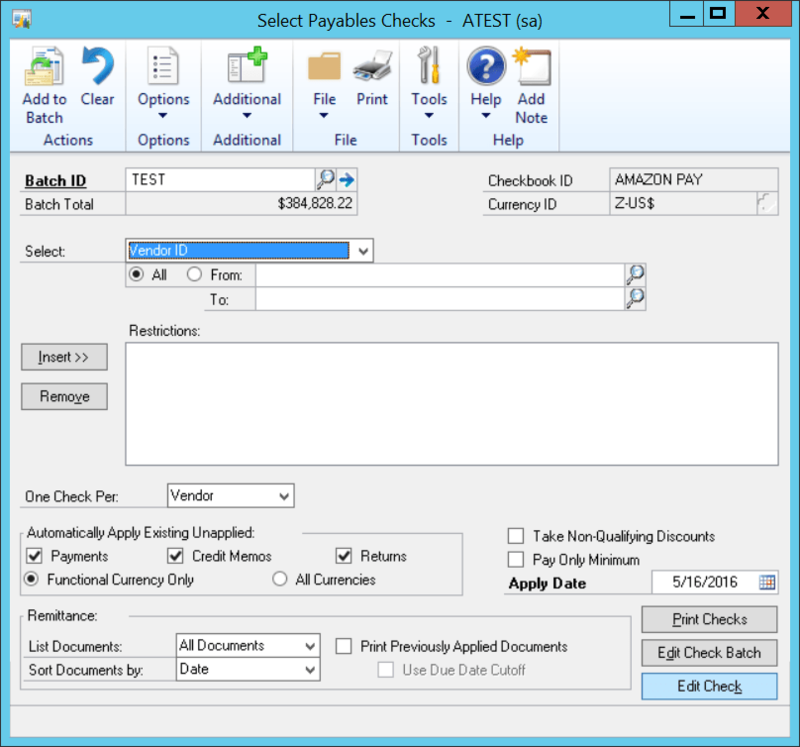 As you can see below, the next time you create a check batch for this vendor, those $0 documents won’t appear on the stub. This method is much easier than being forced to scroll through each vendor record and uncheck any open invoices before proceeding with a $0 batch to the Print Payables Checks window. Ultimately, this fix will save you and your vendors from a lot of potential confusion. 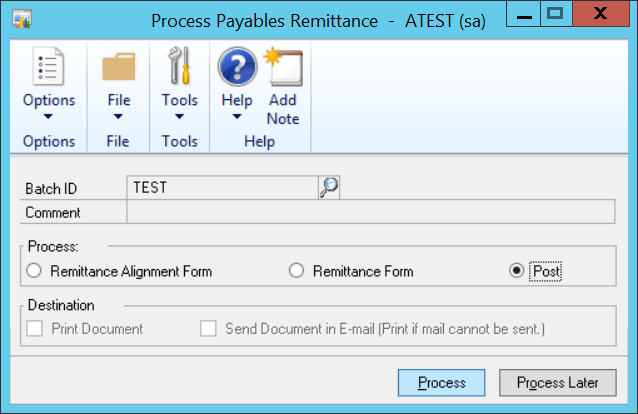 If you have any more questions about processing AP documents in GP or Dynamics GP, please feel free to reach out to us using the form below. 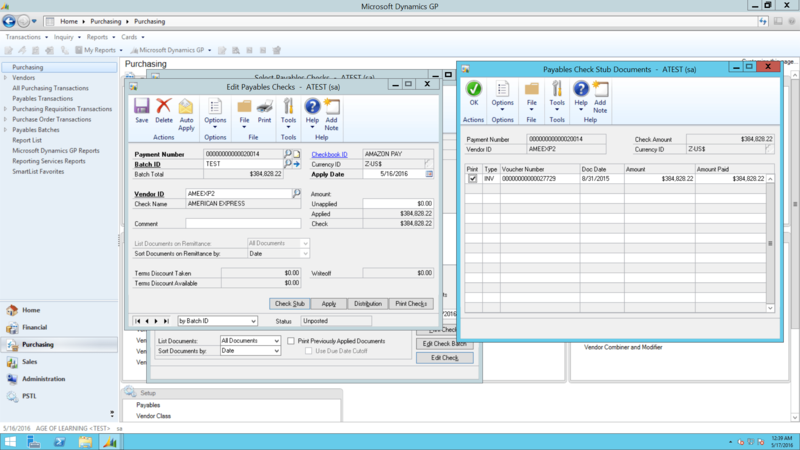 Mathew is a Senior Consultant in the Microsoft Dynamics GP practice at FMT.